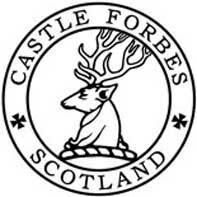 Exceptionally formulated and according to some, Castle Forbes make the best shaving creams in the world. The Lime stunning scent is second to none - has to be tried to be believed - it's that good! Paraben free, alcohol free, no added colour or animal testing, no added fragrance only pure essential oils. Lime Essential Oil is especially good for those with skin prone to nicks and cuts. Tub Size: 200ml - should be sufficient for 5/6 months average use. Not the cheapest but only a small amount of cream is needed with the generous addition of water to produce a rich, creamy yet extremely fine lather for a superbly close shave. Note: A little goes a long way - only use a small amount! Adding a touch more water will provide re-lathering for second and third passes, if required without using any more cream. You've got to try this to believe the quality and fragrance that this cream holds. A firm favourite online and at our retail unit as well as among us here at Executive Shaving. A true delight to use. We recommend you use this with a good quality brush- either badger, boar or even synthetic - to create an optimum lather with this cream. Click here to see our vast selection of brushes. Water, Stearic Acid, Aloe Vera, Myristic Acid, Potassium Hydroxide, Glycerin, Coconut Acid, Dipropylene Glycol, Lime Essential Oil, Citric Acid, Triethanolamine, Phenoxyethanol, Sodium Hydroxide, Methylisothiazolinone, Potassium Sorbate, Limonene, Citral, Geraniol, Linalool.